I am always surprised at the number of homeschoolers who love the methodology of Charlotte Mason, but would prefer it secularized. In other words, have the spiritual component and foundation of her teachings removed. Many homeschooling moms hang on Ms. Mason’s every word as it pertains to her methods, but they never really understand her philosophy of education. The foundation of Charlotte Mason’s philosophy is rooted in the Bible. 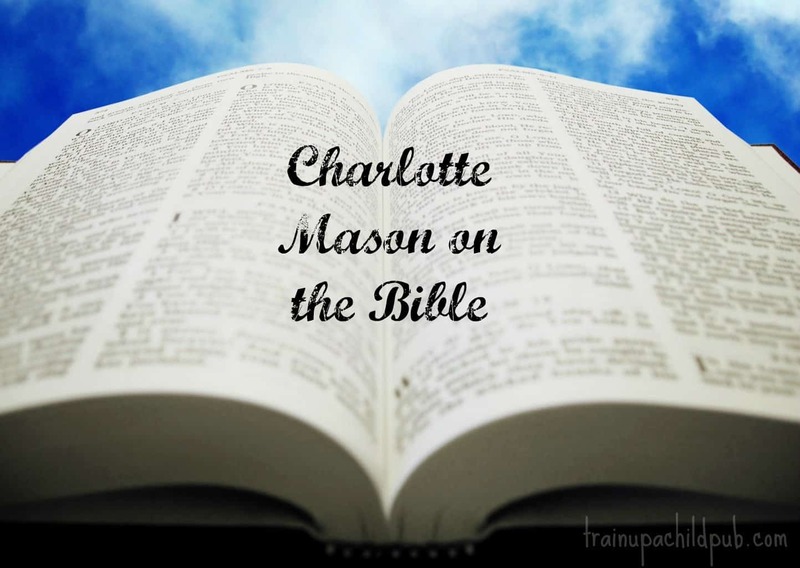 If you’d like to learn more, read Charlotte Mason on the Bible. By the way, these thoughts and quotes are taken from Charlotte Mason’s Original Homeschooling Series, Vol. 1: Home Education . Note: The Scripture references in parentheses were added. * Many years ago I had a missionary friend who advised me never to doubt my children’s desire to make a profession of faith –no matter how young. In her experience, if we take this desire and decision lightly – our children will end up taking it lightly as well. According to her writings, it is clear that Charlotte Mason had a genuine knowledge of and faith in God and His Word. So how could we separate her methodology from the passion and motivation behind her methods? Doing so empties them of their rich meaning, boiling them down to a mere list of “to-dos” instead of a mission to which God has called us and will gladly equip us for physically, emotionally, mentally and spiritually. If you teach using Charlotte Mason methodology but have never given careful consideration to this aspect of her teaching, I invite you to do so! You’re welcome, Ellie. Thanks for stopping by! Thank you for this post. I have been trying to find the Bible verses that were being referenced and struggled. I so appreciate this! I am glad the Bible verses in my post were helpful to you. I am so thankful for God’s calling to homeschool our children and the gift of His Word to undergird us! Thank you for taking the time to visit my blog and for the encouraging comment. Thank you to Joy, Kim and Pauline for reading and taking the time to comment. Kim – I agree – CM methods have worked very well for our family, too. It really has been a very natural way for our children to learn and an encouragement to read that Ms. Mason’s foundational philosophy very much aligned with ours. Thank you so much for this post. It is encouraging as a homeschooler using Charlotte Mason to keep the Bible and God in our days. Thanks for sharing! I loved your post! Yes, it’s so true, we need to look to the Lord in how to teach and raise our children. I’ve found the CM methods to work very well for our family. Thank you for these inspiring words. I love to read someone giving praise to our God for the wisdom He gives, and here, for what He gave to Miss Mason, which we get to enjoy and benefit from.